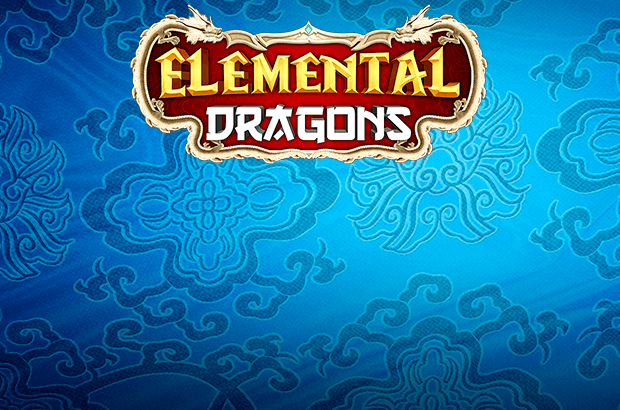 Play Elemental Dragons™ online for free now! Fancy getting a glimpse of some mighty dragons and raking in piles of Twists? Then you should spin the reels of our slot Elemental Dragons™ online. The mythical creatures in this slot are friendly fellows that gladly shower you with winnings if you just take a bit of a risk. Elemental Dragons™ offers a whole bunch of Wild symbols, legendary Sticky Wild Free Games, a superb Gamble Feature and a potent Power Reel. 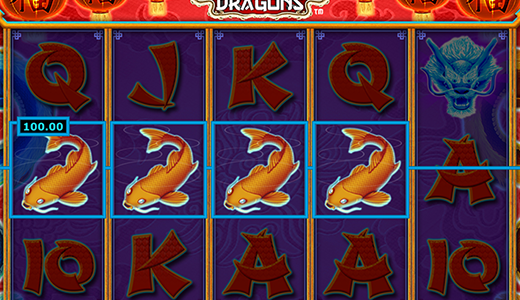 You can land the highest winnings in Elemental Dragons™ online with the Water Dragon symbol, followed by the Fire Dragon and the Koi symbol. The aim in Elemental Dragons™ online is to land between two and five matching symbols on five reels and 20 win lines. The winning symbols have to appear from left to right and cannot be interrupted by other symbols. Three or more Scatter symbols (with the Elemental Dragons™ logo) will fill you with joy, for they trigger the Sticky Wild Dragon Free Game. Generally speaking, dragons enjoy flying. But in Elemental Dragons™ online they prefer to slide! More specifically, they skid down up to three reels. And when they do, they leave behind a Wild on each reel. This Bonus symbol conceals another symbol and can turn into a Scatter at random. The feature might be triggered at the beginning of any spin. The action is taken to a new level when this feature is triggered in Elemental Dragons™ online. If one of the dragons skids down up to three reels and places a Wild symbol on each, your coffers will be filled with winnings. After that, prizes are paid out, the Wilds turn into Sticky Wild symbols and the reels spin again. The dragons are kept pretty busy in Elemental Dragons™, because this feature is also all about the mythical creatures. If one of the mythical beasts slithers down up to three reels, it places a stack of Wild symbols on the respective reel. This bonus game can be triggered randomly at the beginning of any regular game. Just like the dragons, this bonus game can emerge all of a sudden in Elemental Dragons™ online. If the Power Reel Bonus Game is triggered, all five reels transform into Power Reels and shine extremely brightly. A Lindworm slides along the reels and leaves a Wild symbol on each. If three or more Scatter symbols appear on the reels in Elemental Dragons™ online, you’ll be in luck, for your chances of winning will increase. When you spot the Scatters on the screen, the first reel starts to glow. Any dragon that lands on this reel will turn into a Sticky Wild symbol. You’ll then trigger Free Games. When all reel positions are occupied by Sticky Wild symbols, the glow moves to the next reel until this is also completely filled with Sticky Wilds and you rake in Free Games once more. The dragon takes centre stage in Chinese culture. But unlike in the West, the mythical creature is worshipped as a deity in the Far East. We support this philosophy, which is why our dragons grant divine winnings in Elemental Dragons™ online! All you need to do to claim these heavenly prizes is play plenty of spins. If luck is on your side, Water, Fire and Earth Dragons will appear on the reels and line your pockets with Twists. Beside sensational Wilds, this slot machine boasts a Power Reel Bonus Game, a Sticky Wild Dragon Free Game and a Gamble Feature!